Culver Academy strives to instill strong values, leadership, and character in their students. Having the opportunity to now meet and photograph 6 of the academy's finest seniors, I can proudly say they are doing a fine job! This post is short and very sweet! 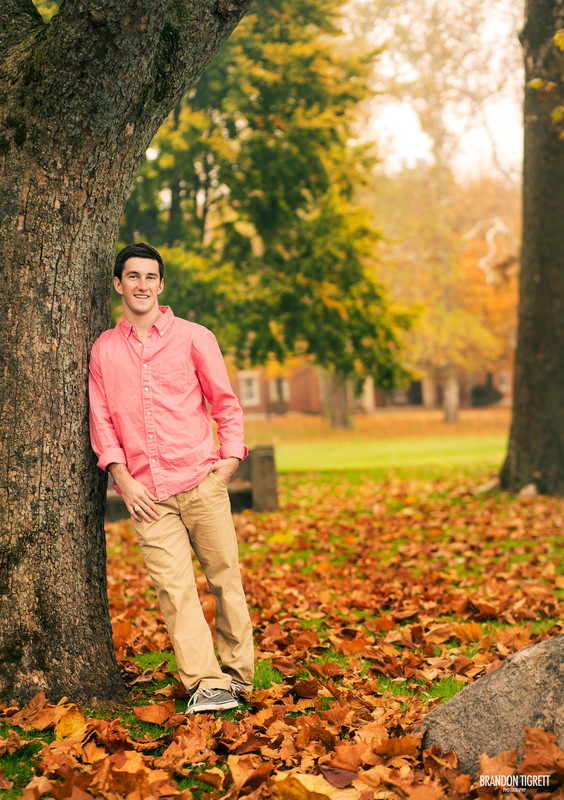 It's to give you a taste of the awesome photos we created this past weekend in Indiana. We couldn't have been luckier with the weather, as it snowed the following weekend! I kept saying, I definitely went to the wrong high school, because I've never seen a more beautiful campus. Who has a lake, chapel, equine center, and boat house at their high school?! Ramblings aside, here are a few amazing photos of each of the guys. Zach is an amazing forward on the Culver Academy prep hockey team. He unfortunately tweaked his shoulder this weekend, so I'm wishing him a speedy recovery! 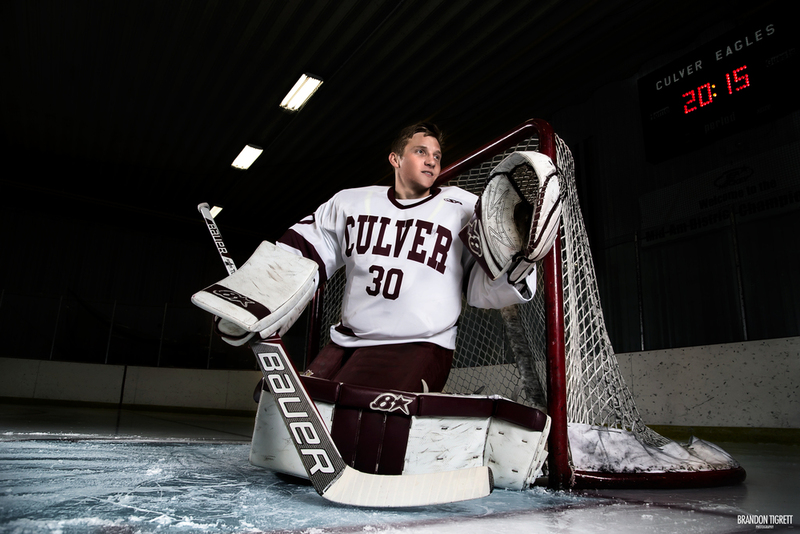 Dean is an exceptionally skilled goalie, and was in net for Culver's first win of the season. Despite being a very reserved and quite kid, Dean opened up by the end of our shoot and was giving me absolute gold! Riley's my brother, and I was surprised when he actually took our shoot serious! We produced some awesome photos, and luckily he didn't break the camera by looking at it! (I wouldn't say this about any other clients, but family is an exception ;) ) Riley is also an exceptional hockey player, and has shown true tenacity after recovering from two, I repeat, TWO, torn ACLs. Karch was awesome to shoot with! This guy was the easiest person I've ever worked with when it came to posing. He just slipped right into the perfect pose with very little direction. Besides his beastly modeling skills, Karch too is an amazing hockey player and is supposed to be drafted relatively early on in the NHL draft! Spencer might be a real model in his off time. I'm serious, he was giving the Zoolander looks as if invented them. Besides his life as a model, Spencer is a rock solid defensemen and a real pleasure to work with. And last but certainly not least we had Michael. 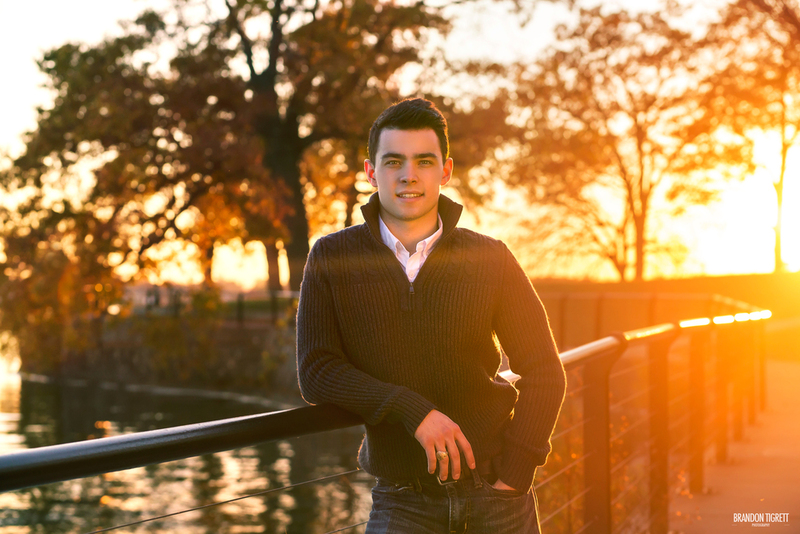 On top of being an amazing hockey player and line mate of Riley's, Michael is a very accomplished student at Culver. His high rank has earned him a special dress uniform and medals. Oh and a sword!!! All of the guys were a real pleasure to work with and I was truly lucky to have such a beautiful campus to shoot around. I had a ton of fun during all the shoots, quite possibly the most enjoyable photo shoots I've ever had. Hopefully these pictures will hold you over while I retouch the rest over the next week or so! Feel free to share this post on all social media outlets! Lastly here's the amazing view these guys have of lake Maxinkuckee - Taken at sunset after day 2 of shooting!